There’s nothing in the world quite like a Scottish Highlands Christmas. Join us this festive season at Kingsmills Hotel and Spa for a Christmas experience unlike any other! Situated in the capital of the Scottish Highlands, Inverness, the Kingsmills Hotel and Spa is surrounded by world famous scenery – it’s safe to say you could be forgiven for thinking you had stepped into the magical world of Narnia. Why not escape away this festive season to Inverness for a Scottish Highlands Christmas experience like no other? Never quite know what to do in the days between Christmas and New Year? Our Twixmas package has your name on it! With prices beginning from £85 per person, you can enjoy a luxury two night stay at the Kingsmills, complete with a three course dinner in our Inglis restaurant, a full Scottish breakfast buffet on both mornings of your stay, a glass of mulled wine upon arrival, and of course full access to our on-site leisure facilities. Sound good? Book here. Step away from slaving over the stove on Christmas day by choosing to dine with us here at the Kingsmills. Choose to dine in either our Conservatory or Inglis restaurant and be treated to a feast of turkey with all the trimmings, or alternative delicious dishes such as beef and monkfish. Simply gorgeous! Prices for Christmas Day dining begin from £80 per adult and of course, in true festive spirit, children under the age of five eat completely free! Find out more here. Other plans for Christmas day? Not to worry – our special festive dining menu is available from the 1st until the 24th of December. Fancy bringing in Hogmanay somewhere a little different? Why not take advantage of our Scottish New Year Breaks special offer and start the year the way you mean to go on – with in nothing but luxury! 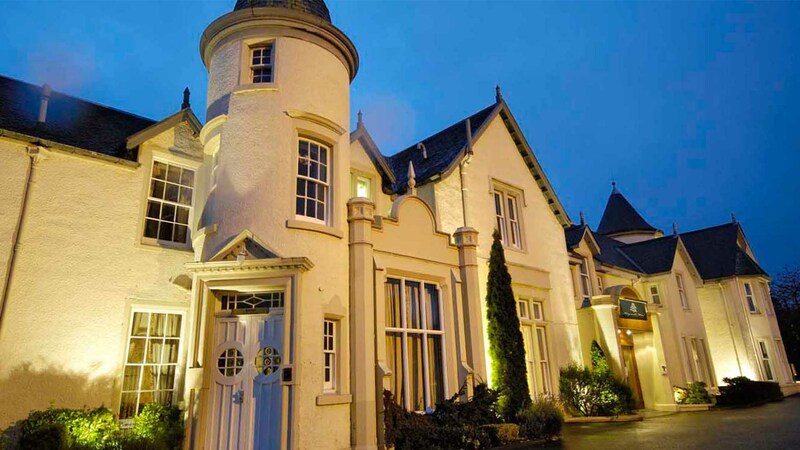 Enjoy four nights’ accommodation, starting from the 29th of December at the Kingsmills Hotel and Spa, and enjoy a traditional ceilidh and glass of bubbly at the bells. Let our lone piper serenade you into the New Year and book here. For a Scottish Highlands Christmas like no other, book with the Kingsmills. We look forward to welcoming you! Are you in dire need of an escape from the hustle and bustle of daily life? Why not book onto one of our rejuvenating Highland Retreats! 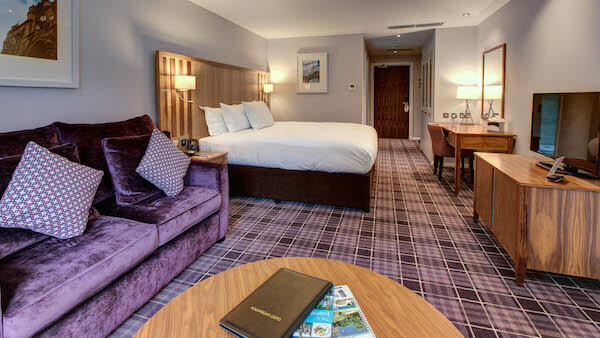 Situated in the heart of the Scottish Highlands capital, Inverness, the Kingsmills Hotel and Spa is the perfect destination for those looking to refresh, restyle and relax! A pamper is without a doubt the first port of call for those feeling tired and stressed out. Why not visit the Kingsmills on-site spa and pick from an array of lovely treatments to help kick off your Highland retreat! Choose from a range of holistic and natural therapies, including the Hydramemory experience. Designed to penetrate and hydrate the deepest of pores, this therapy is guaranteed to leave you fresh-faced and care-free. Complimentary ingredients within the treatment such as hibiscus and healing honey will leave your skin glowing. “I can’t wait to go on a diet!” – Said nobody, ever. During your Highland Retreat, enjoy dining at one of our two fine dining eateries, the Ingles restaurant or the Conservatory. Enjoy dining from a menu of hearty, wholesome – and above all healthy meals that are certain to leave you fit to burst. 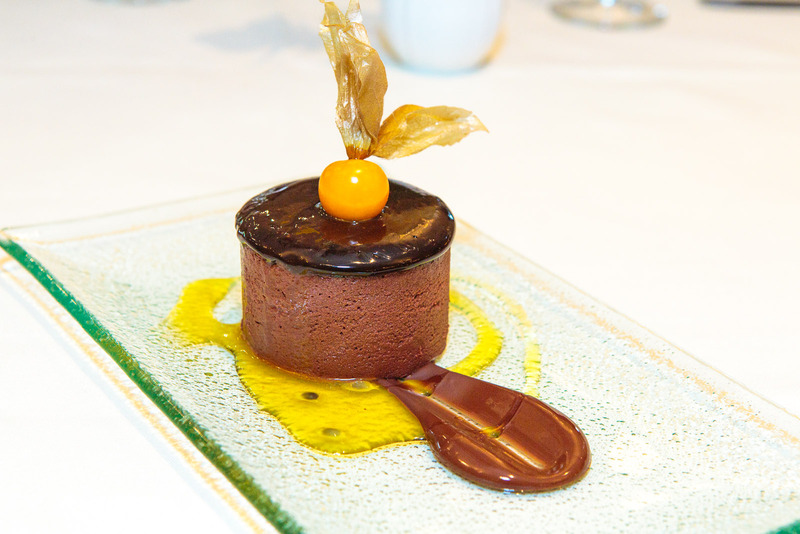 Indulge in a little after dinner treat of warm chocolate fondant and basil ice cream. Simply scrumptious! Let’s not forget the most important ingredient of a Highland retreat – a great luxury-quality sleep. Join us in one of our many luxury rooms at the Kingsmills hotel and float off to sleep in one of our fluffy, cosy and supremely comfortable beds. To find out more about booking highland retreats with the Kingsmills, simply head on over to our special offers to pick a package that appeals to you! Not planning to stay for long? Don’t worry – you can still book into our spa for an express pamper! Book today and let the de-stressing begin! We love any excuse for a celebration, and Mother’s Day at the Kingsmills Hotel is no exception. Whether you’re treating your mum to a fabulous shopping spree or a sensual spa break in the Scottish Highlands, we know how to pamper the most important woman in your life. Our menus are always deliciously tasty but we like to make an extra special effort for Mother’s Day. This year we’ve put together a sumptuous set menu with a tantalising price to match. 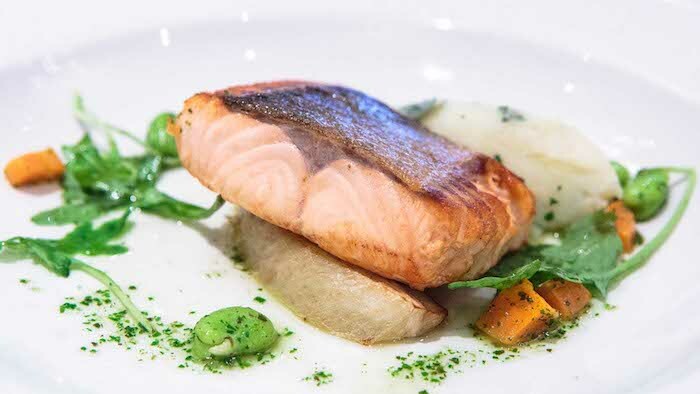 From heart-warming carrot and caraway soup with wholesome Cromarty bread, to grilled hake or a tender chicken ballottine, there are a dozen tempting reasons to book Mother’s Day at the Kingsmills Hotel in 2015. If you’d like a sneaky peek at what we’ll be serving, have a look at our appetising menu. To make the day even more memorable, our guest bedrooms are a real treat for an overnight break, while the spa has some wonderful treatment packages ready to spoil you all. Why not pamper your mum with a soothing facial or massage? Or really thank her by choosing one of our select spa packages? We love the Signature package, a lavish bundle that includes a relaxing full-body LUX hot candle massage, followed by a facial and a herbal tea. She’ll be treated to a souvenir candle of her own to take away with her too. Don’t miss the chance to join us for what is guaranteed to be a special weekend. Call us to make your reservation on 01463 237166. If you can’t make it on Mother’s Day, why not take a look at some of our other exciting special offers instead, or browse our choice of bedrooms and see where you could be relaxing very soon. The Scottish Highlands are a wild and romantic place to visit in the winter. The majestic glens and hills are spectacular at any time of year, but there is something about the contrasts of the winter landscape that really bring it to life. Here in the heart of the highlands, at Kingsmills Hotel we frequently enjoy a covering of snow throughout parts of the winter, shrouding the mountains with a blanket of white. The silence of a snowy mountain landscape is almost tangible, and a clear blue winter sky enables each rock and feature to stand out with vivid clarity. We can think of a few good reasons for you to visit the beautiful Scottish Highlands for a winter getaway this year. Amble hand-in-hand along paths through the frozen hills, take advantage of some Christmas deals in Inverness’ bustling shopping area or simply come in from the cold to a warm welcome. When the winter is doing its very worst outside, we’ll greet you with a warm smile. Take off that snowy overcoat, scarf and gloves, and get the circulation going again in our Whisky Bar. Sink into a comfy armchair and let the warming taste of a dram of single malt whisky melt away the winter blues. When you book a winter short break or romantic getaway at the Kingsmills, you can take advantage of the following exclusive deals. Two nights’ accommodation in one of our luxurious Classic Rooms. A three-course meal at our intimate Inglis Restaurant on the first night of your break. Full use of our hotel leisure facilities, including our gym and heated swimming pool. Book online through our website to take advantage of our winter warmer offer, or give our friendly team a call to check room availability. If that’s not all, we have the perfect gift for your loved ones this Christmas. Make sure you do not miss out with our Gift Vouchers available to use in our Spa, our incredible dining facilities or even treat that special someone to an overnight stay! Click here to buy a gift voucher now. We look forward to seeing you soon. In this blog we would like to say how proud we are of our very own chef Arkadiusz Swider, who has recently been awarded third place in the Young Highland Chef of the Year Awards 2014. The Young Highland Chef awards are an initiative of the University of the Highlands and Islands (UHI) and their partners the Albert Roux Consultancy. Since 2009, the awards have given talented young Scottish chefs the opportunity to play their skills against contestants before a panel of professional judges, led by Double Michelin star chef Albert Roux. Twenty-six-year-old Arkadiusz faced some very stiff competition from other young chefs in qualifying for the contest, and so we were delighted when we heard he had been selected as one of the six finalists. For the final contest on 28th October, Arkadiusz had to travel to the Burghfield House Hotel in Dornoch to participate in a cook-off in front of a live panel of judges with his five fellow-finalists. Apart from Albert Roux himself, the panel included heavyweight chefs such as Andrew Fairlie from the Gleneagles Hotel, Brian Maule of the Chardon d’Or in Glasgow and Glen Watson of The Belfry in Sutton Coldfield. As third placed winner, Arkadiusz received a prize of £100 and some well-deserved recognition from leaders in the hospitality industry that we know will stand him in good stead for his future career. Arkadiusz came back exhausted, but justly proud of his sterling performance in the prestigious awards. It just goes to prove what we at the Kingsmills knew all along – that Arkadiusz is a creative, passionate and exceptionally talented young chef. He is a pleasure to work with, and we consider ourselves very lucky to have him as part of the team. Well done! To taste Arkadiusz’ handiwork for yourself, book yourself in for dinner at our Inglis or Conservatory A La Carte restaurant, and we very much look forward to seeing you soon at the Kingsmills Hotel. We have an incredible offer this winter which is guaranteed to put a smile on your face. From just £85.00 per person, the Kingsmills Hotel is offering you two nights’ accommodation in a Classic room and a full Scottish breakfast to wake up to. You also get to enjoy a three-course dinner in our Inglis Restaurant on your first night and access to all our excellent leisure facilities. 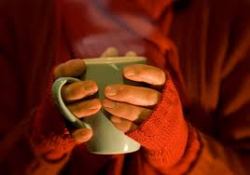 When the cold winter wind blows outside, come to us for a warm welcome and a relaxing break to drive the seasonal chills away. Book online to take advantage of our offer and treat someone special to a weekend to remember this winter. Our Winter Warmer runs through to March 2015, so you don’t have to rush to book. 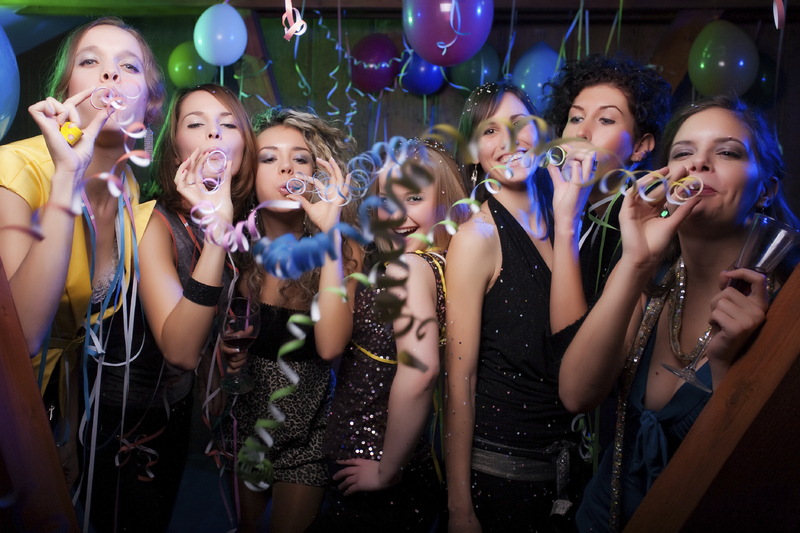 Got a birthday coming up that you want to celebrate in style? Got a surprise you want to give someone special for Christmas? Well, book them a room with his offer and they will think you were an angel that fell out of the sky just for them. It really is a treat that is not to be missed. This is the ideal chance for you to get away from a couple of days and just enjoy the quiet and peaceful wonders of the Scottish Highlands. Relax in our spa, swim in our pool, enjoy a massage by a trained professional, enjoy a quiet romantic dinner for two and sleep as soundly as you have since you were a baby. Book now to avoid disappointment! It is coming to the time where gift lists will be on your mind. Isn’t there always that one person or one couple that you just get stuck for ideas on? Well, we at the Kingsmills have the perfect solution for you; gift vouchers. Our gift vouchers give the promise of a wondrous night or day treatment at the spa or other magnificent offers that will have your recipients cooing for months afterward. As the winner of the Best Hotel in the HITA awards of 2012 and again coming up trumps at the SCDI awards this year, we share our pride with you and offer food and drink vouchers, whereby you can enjoy Afternoon Tea at the Kingsmills for two. Taste the delightful flavours of our fresh make sandwiches, warm tea and fresh cream cakes as you relax in our beautiful surroundings. Upgrade to our Conservatory lunch for two and enjoy a three-course dinner from Monday to Saturday. Our Sunday lunch for two consists of a meal in our conservatory where you will taste perfectly cooked and wonderfully served food. You can also buy gift vouchers for a swim lunch for 2, with either a two course or 3-course lunch. If you want to give someone a monetary gift voucher that they can put toward a romantic stay, we offer those too. These also serve ideally as wedding gifts, birthday and Christmas gifts. If you fancy giving someone the gift of an overnight stay with breakfast, we offer vouchers for those and an upgrade from that includes dinner for a small extra addition to the price. We also offer other voucher options including spa treatments, massages, sportsman’s tonic, one person treatment, two person’s treatment and other options. We have tailored options too, so call us to find out what you can do to give the gift of plenty to someone you love this year. 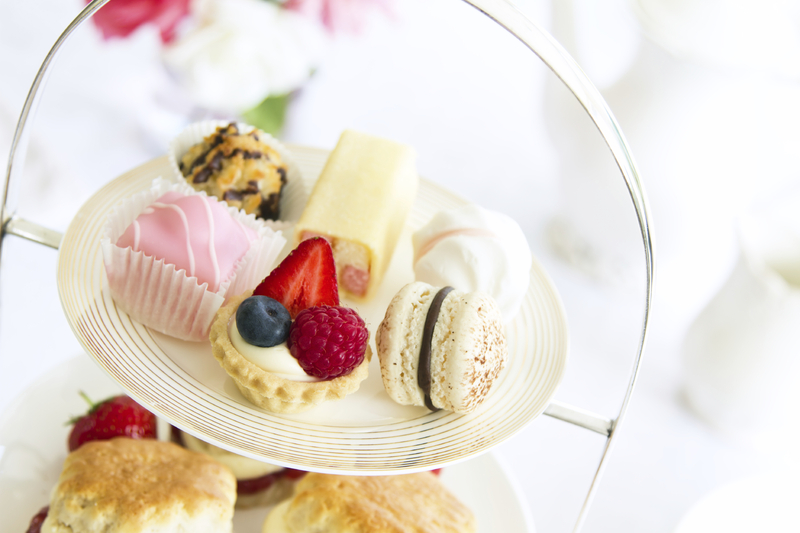 Fancy a spot of afternoon tea? Afternoon tea is historically something that was observed by the British upper and middle class as a light meal taken between 4pm and 6pm. Back in the 1840’s it was Anna Maria Russell, the then Duchess of Bedford, who was credited largely with the creation of the observance. Apparently she was said to have been visiting Belvoir Castle in Leicestershire when she felt that sinking feeling, while alone in her chambers. A servant brought her a cup of tea and some finger sandwiches and a few little tea cakes. The trend caught on so well that ‘Afternoon High Tea’ fast became a custom of the upper and middle classes. In true traditional style, we at the Kingsmills Hotel like to offer our residents and guests a full selection of afternoon tea options. The original part of our hotel dates as far back as the 18th century, and therefore there is every chance that you will be sitting on the same spot that someone else took high tea at back in Victorian times. Our elegant conservatory garden room is the delightful setting where you will enjoy freshly made finger sandwiches with a choice of cucumber, salmon, or egg and cress to go with your delicious pot of hot tea. We serve it with a tray of scones and jam and a selection of tea cakes, again freshly made for your delectation. With our afternoon teas, the service, presentation and atmosphere is all part of the experience. You will enjoy your hot cup of tea from a sterling silver ornate teapot and drink it from beautifully delicate bone china tea cups. We have an amazing, affordable offer for you to come and enjoy high tea with us. Sit in the comfort of our garden room and gaze over the landscaped grounds while you enjoy your afternoon tea for just £9.00 per person. It’s a deal you should not miss, so give us a call and book yours now. 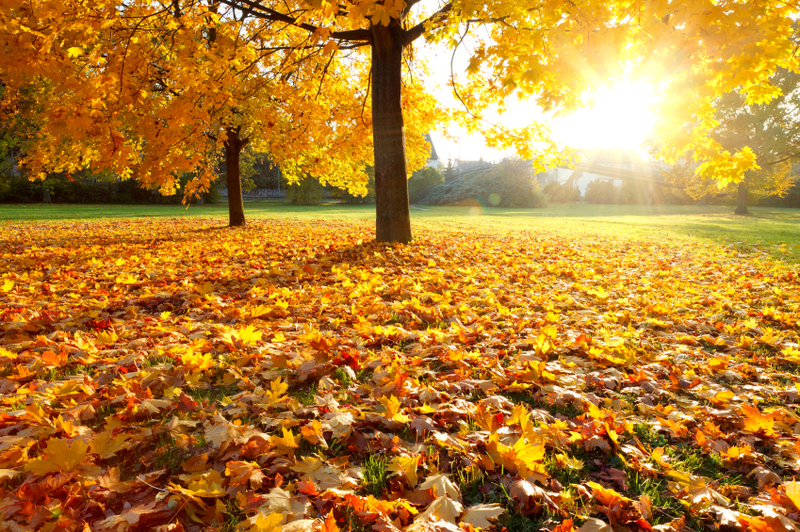 Autumn is one of the prettiest times of the year to take a visit to Inverness and the surrounding highlands. Inverness is one of the most beautiful cities in the Scotland, whilst we might be a bit biased at Kingsmills Hotel – it’s with good reason. Have you visited Inverness? Have you seen the natural beauty that surrounds us, the quiet rolling hillsides, the russet tinged glens, historic red brick distilleries, the Clava Cairns, the Castles in abundance, Loch Ness, Culloden Moor and so much more? Looking at places around the world, and in Scotland, it is plain to see what a wondrous planet we live on. We should take the time to see as much of it as we can. Scotland has a rich and deep history and is abundant with castles and homes that tell its story over millennia. Coming to Inverness is like a cultural lesson. You can visit the town house—built between 1878 and 1882—the town hall, a most stunningly beautiful Victorian building and St. Andrew’s Cathedral. You are at one with nature when you visit Inverness and at risk of sounding like a travel blog, we strongly suggest you pay a visit here. At Kingsmills, you are our guest and as a guest you are entitled to all the splendour that we have on offer. Our finest dining experience, our comfortable and beautiful rooms and our incredibly beautiful and picturesque gardens are just some of the reasons to come and stay here. As we said, we are a little biased, but for all the right reasons. If theatre, musicals and drama are your thing, there is plenty in Inverness to keep you entertained. How about the Eden Court theatre, which has a variety of shows to attend—check their listings for fun things to watch? It is an excellent way to round off an evening of strolling along the Ness River, around the Ness Bridge and down to Grieg Street Bridge. Come home to Kingsmills for a tasty dinner and a lovely toddy to round off the day. Call our sales team direct today on 01463 237 166 today for our best deals! Our guests can tell you that The Kingsmills love Christmas and Hogmanay season. We get into the groove with our guests and we just love the atmosphere it creates around the entire hotel. Therefore, each year, we try to outdo ourselves and make it even more of an occasion that previous years—if that is at all possible! Upon your first visit to our hotel, you might think it is quite imposing and in a way it can look just that. However, its period appearance is only the exterior, and when you step inside out of the winter cold, you will automatically feel our warm welcome. For Christmas this year we have huge things planned including some delicious food, live music and a most excellent party atmosphere you would imagine. Well, let’s see, we have a pre-Christmas festive lunch which you can join us for. All you do to find out more about that is to call the hotel reception and ask them about how to book your Christmas Celebration. You can also join us for Christmas day dinner, too. 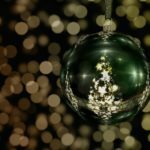 Of course, Christmas parties are the seasonal fashion to follow, so we also expect some bookings for the office parties from local areas as well as from around the country. To book yours for the dates you want, give us a call early so we can book you in. Oh, and if your party happens to have more than 25 guests we give you a freebie for the organizer. If you book your office—or private—party for either the 5th or 6th December, your guests receive a complimentary ½ bottle of wine with their meal. We also have an offer where you can book a nights’ accommodation for just £30.00—when you share with another adult—and have a double or twin room. That will save on paying for a taxi ride home, which could cost you the same amount of money around Christmas. We have a splendid gala dinner at Hogmanay, as well as a festive pantomime, so come and join us for a five-course gala dinner, glass of midnight bubbly and neeps, tatties and haggis from just £79 per person, as a non-resident and bring Hogmanay in in Style!